Everybody in the pool! What? You don’t have one? Why not install one this summer? Have you thought about this every single year and thought it was too expensive or too hard? Let’s see some details and make an informed decision. How about the Intex 24 ft x 12 ft x 52in Ultra Frame Rectangular Pool with Sand Filter Pump, Ladder, Ground Cloth & Pool Cover? You’ve read correctly. This pool has a sand filter that allows owners to have a clear salt system with a fairly low amount of chlorine. Imagine swimming in your own yard in water that is clear, gentle on your eyes and without algae problems. Take a look below at some of its features. Other details are pool’s laminated PVC sidewalls, a drain plug that can be connected to a garden hose for drainage. Plus, there is a dual suction outlet for the hygiene and clarity of the water. At $799, this pool can accommodate more than five people comfortably at a time, making it roomy enough for individual lap swim or a small party. The Sand filter works well and is equipped with a timer. This is great for those on the go. You can set it for how long you would like it to run. Want to keep bugs out of the pool at night? Included pool cover keeps them away. Salt water system has become a safer way to swim. Chlorine products can be expensive and have been known to be harmful to skin and swimwear. Set up is easy and can take up to a couple of hours to a few days! Pool package comes with a 30-Day Warranty! Customer Service number is 1 (800) 234-6839. Pool package does not include a net to clear away bugs, leaves, or fallen debris. Pool ladder is thin and flimsy and gives very little support. Be careful on it. Better yet, purchase something sturdier. When filling the pool, sides bow in a fold. Once filled, (this is in the instructions) the sides will stand straight up perfectly, but the fill up can be disconcerting. Prior to setting up the pool, ground has to be perfectly level. Achieving this may take time or be an additional expense with hiring someone to do it for you. Despite the lists of cons above, this pool gets high marks from Swimfolk for its simple set up and how enjoyable it can be for the whole family. Word of caution though, make sure to level the ground first. Think about what you’ll be stepping upon while in the pool. 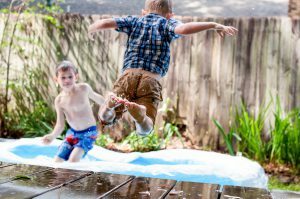 Don’t place the pool on loose soil or soft, muddy areas, but apply padding and a deceit tarp underneath. It’s an added expense, but if you love being in the pool, it’s worth it. 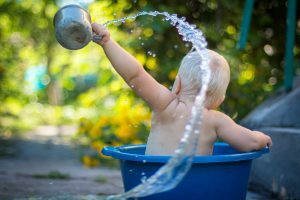 Also, for those new to pool care and living in colder climates, be sure to drain all the water from pool and tubing in winter months. They can freeze up. This pool also gets a favorable review from those who’ve purchased the pool and have set them up themselves. Its rating is 4 out of 5 stars! Needless to say, swimming is a wonderful exercise. 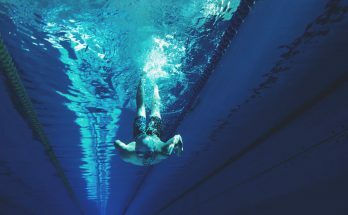 The benefits of swimming include heart health, muscle strengthening, a great low-impact workout, a good therapeutic, natural remedy for joint pain, stiffness and rehabilitation, and so much more. Take a look at this installation video below. Click Here for information to purchase this pool, and please leave a comment below if you found this review helpful. Previous Article Powerbreather Snorkel Review – What’s so great about it? Next Article Is It Safe to Go Swimming with a Tampon?